This was soo sweet! !! You paint such a beautiful imagery with your words. Aw Kritika. You’re welcome! 🙂 I am glad I could make you smile. Amazing! An eternal love story that plays out every night. Calling it a friendship or an eternal love story, what would be great? Haha! My perspective was restricted to their friendship, but after reading the comments, I realize that it also appears as a love story. Well, yes, considering the emotions involved. I haven’t yet find the moon for myself. I am happy with the genuine moon I get to see every night. So I get two compliments. Thank you, Chris. 😀 Cheers! That is a beautiful analogy of lovers. You have woven emotions around the sea and the moon in such a delicate manner. I loved it. If I were to change anything (I do this a lot! ), I would remove the last verse. 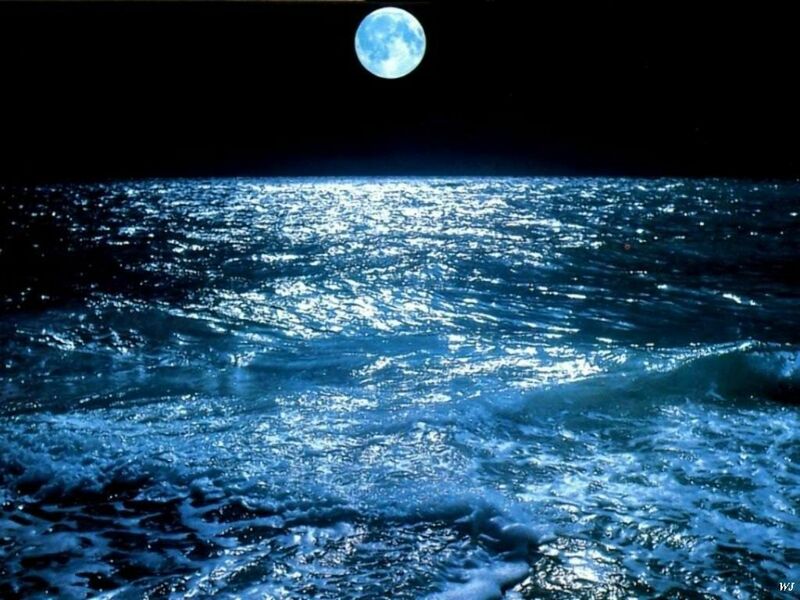 This is simply because while it adds a wonderful personal touch, it brings me out of my fantasy of listening to the dialogue between the sea and the moon, and drops me unceremoniously into reality! I am pleased to know that you enjoyed reading it, Colin. Thank you! To be honest, I agree with you. While I was writing it down, I had that perspective in my mind, since it isn’t like every day you wonder how the two talk or what they talk, and wording them would have resulted in a great poem. However, I wrote this keeping in mind a friend of mine, and hence, the part of going and telling the chum about how I see our friendship. I can try to write it again and highlighting the curiosity that one has to know their dialogue? Thank you, Shakti for your comment. I agree with your point, but in the poem the sea helps the moon ‘to know’ its true self. The kind of friendship or a relationship where one helps the other to know their worth are rare, yet, beautiful. That’s why I call their relation “unparalleled”. Also, in poetry we often reflect the meaning that get lost in our busy lives, I guess, I tried to do that. Sharing yourself isn’t easy at all, but if you find the right person, who reads on the other end of the line, you kind of get to know more about yourself. What a fantastic photo, and such a beautiful story! See you later, angel! This is awesome, no spam. Its unbelievable the way u connect this two everyday “commonalities” into an expression that we all crave for. Am still dazed….. Thanks for dropping by my blog and following me I hope I meet up to your readership. Awesome writings…. Totally! They help you to lose calories. This is the first point on my list, though. Haha. Thank you! I loved it!!! Such an amazing metaphor! Wow!